Are you looking for How to Use WhatsApp on your Computer? 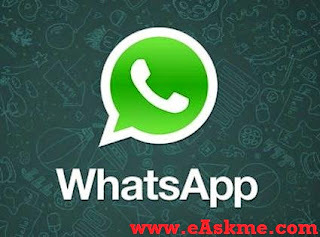 here I will described step by step How to download and install whatsapp on your PC either it might be Mac or Windows machine. Smartphone users are quite familiar with WhatsApp. WhatsApp is an app which helps users to send text messages/voice messages /image to any other mobile for free of cost.More than 1 Billion messages are being sent through WhatsApp every day. Choose the operating system of your system either Windows or Mac and download the respective version and install app. "If you see Error“The application failed to initialized properly (0xc0000135) . That means .NET framework is not on your PC.Click Here to Install latest Version of .NET Framework." After installing Bluestacks open it and you will see some already installed apps. Click on Search button and search WhatsApp. Then you will see different places from where you can download Whatsapp App.Click on Whatsapp Messenger on Google Play and install it. After installing the App open it then Choose Country and Enter Phone number to start using Whatsapp. Open the BLUESTACKS app and Click on the settings button. Choose the “cloud connect“ option. A box opens select “yes” and then click on next. Enter email address , Mobile number and then click on “Register“. You will receive an email with a Pin number. Now take android mobile and search for “Bluestacks“ in market place, Download and install the app. Open the app and enter the pin number. Now you can Sync any app on mobile with your PC. So this is the easiest way to use WhatsApp on your PC. If you have any issues installing Whatsapp on PC, then do share with us in comments.